Arrow Films bring the Japanese auteur's latest to UK/ROI cinemas in March. Japan's Hirokazu Kore-eda has garnered a reputation as a master of family dramas, but his latest, The Third Murder, sees him move into the realm of the courtroom thriller. 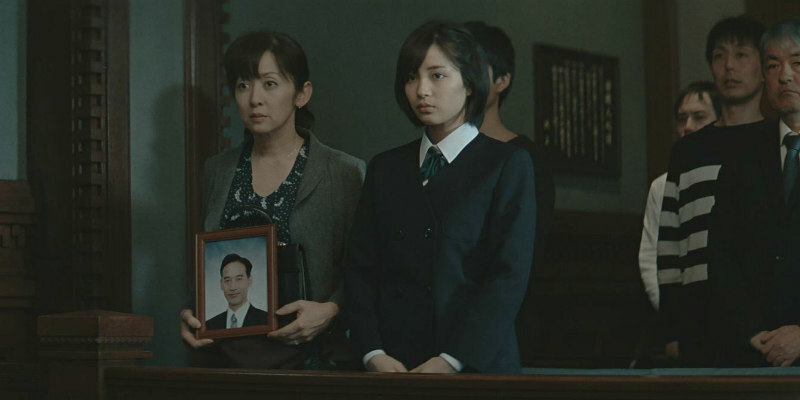 Kore-eda reunites with his Like Father, Like Son star Fukuyama Masaharu, who plays Shigemori, a lawyer charged with defending a client who readily admits to committing murder, though Shigemori is sure of the man's innocence. The Third Murder is in UK/ROI cinemas March 23rd. Leading attorney Shigemori takes on the defence of murder-robbery suspect Misumi who served jail time for another murder 30 years ago. Shigemori’s chances of winning the case seem low - his client freely admits his guilt, despite facing the death penalty if he is convicted. As he digs deeper into the case, as he hears the testimonies of the victim’s family and Misumi himself, the once confident Shigemori begins to doubt whether his client is the murderer after all.